American Roads LLC is a private company that owns and operates toll road facilities in the United States and Canada. 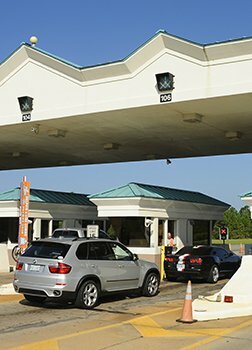 The company operates four toll bridges in Alabama, and one border-crossing tunnel between Detroit, Michigan and Windsor, Ontario, with upwards of 12,000,000 vehicles travelling on American Roads’ facilities yearly. With a total of 30 toll lanes and over 60 servers and workstations deployed across five facilities, American Roads deploys RealVNC to monitor and maintain their toll systems remotely, and rapidly troubleshoot issues. The American Roads IT team is tasked with monitoring and supporting their toll road facilities across the United States. With locations from 20 minutes to 12 hours away, travelling to site for troubleshooting is simply not an option. The challenge for the American Roads team was to centralize the management and servicing of its toll systems by resolving issues remotely, reducing travel costs and increasing uptime. In 2008, American Roads replaced their legacy remote access software with a RealVNC software solution and have never looked back. The improved performance and reliability of VNC Connect has allowed the deployment of the software on toll systems in five locations. IT staff are able to securely login and monitor ongoing issues and activities remotely, sharply curtailing the need for onsite service calls. VNC Connect is helping American Roads meet its growth objectives without the need to employ additional regional IT staff, resulting in potential annual savings of up to $250,000. 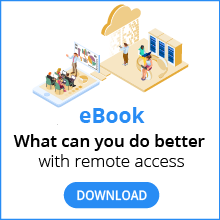 VNC Connect remote access software with an Enterprise subscription is an indispensable tool for IT staff and toll center operators, improving the efficiency of their daily activities. The IT team has increased the uptime of their toll systems by quickly diagnosing issues, sparing road users the frustration of long queues if toll lanes are not in service. Originally adopted by the IT team to manage toll systems, American Roads also uses VNC Connect to remotely train toll center staff. In addition, they are also using a number of copies of VNC Viewer Plus to manage Intel based systems within their network. While VNC Connect is established as a strategic tool for efficient remote support of toll systems, it is now being applied to a wider range of use cases. American Roads plans to use the software more actively for remote staff training, collaboration and IT resource sharing, leveraging the business benefits of VNC Connect across its entire organization.